You need to decide where you’re going to so that you can accomplish your goals. 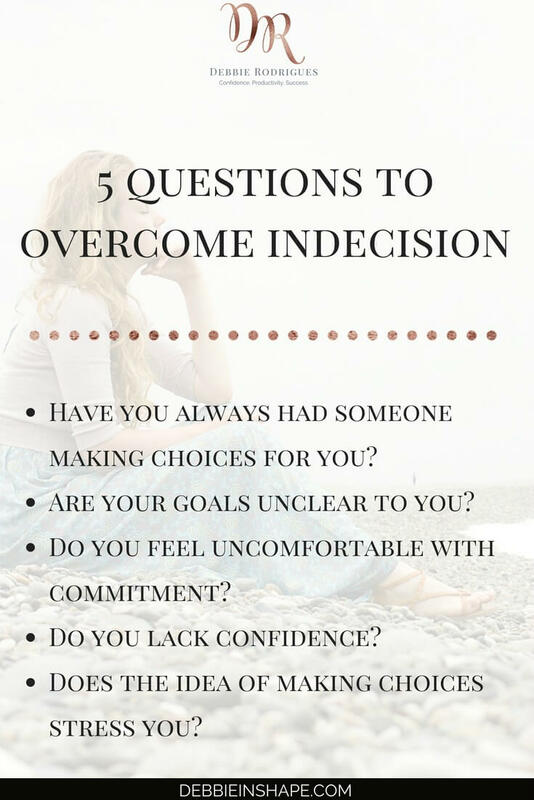 Learn why you must overcome indecision today. Unless you overcome indecision, you’ll find it hard to set priorities and plan your days successfully. It’s true that since we have so many options at hand, making a decision isn’t a simple task anymore. Yet, you have to find a way to make it happen. Have you always had someone else making choices for you? Are your goals unclear to you? Do you feel uncomfortable with commitment? Does the idea of making choices stress you? You’ll probably need some time to think the answers over, and that’s normal. We generally focus on the issues and forget about their triggers. There’s no right or wrong answer when digging in your Personal Development. Keep the results to yourself. Share them with an accountability partner. Start working with a Coach to get faster results. 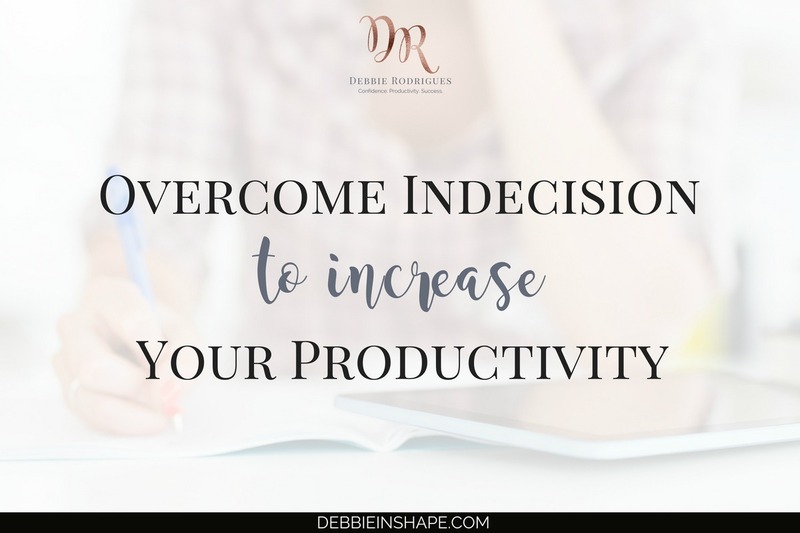 Once you discover what has been preventing you from overcoming indecision, it’s time to change things. Believe it or not, the process itself is straightforward. However, it isn’t necessarily easy. Before anything, you’ll have to open yourself to change. Being indecisive wasn’t something that happened to you in the blink of an eye. Avoiding decisions is a habit you developed throughout a period of time that varies from person to person. That’s why we started this exercise with its foundation. Develop a creative problem-solving approach. Having an objective is important to remind you of your why. Why do you want/need to become more productive? Think of all the awesome things you’ll be able to when you regain control of your schedule and free time. If you struggle with getting started, check these tips on goal setting for productivity. 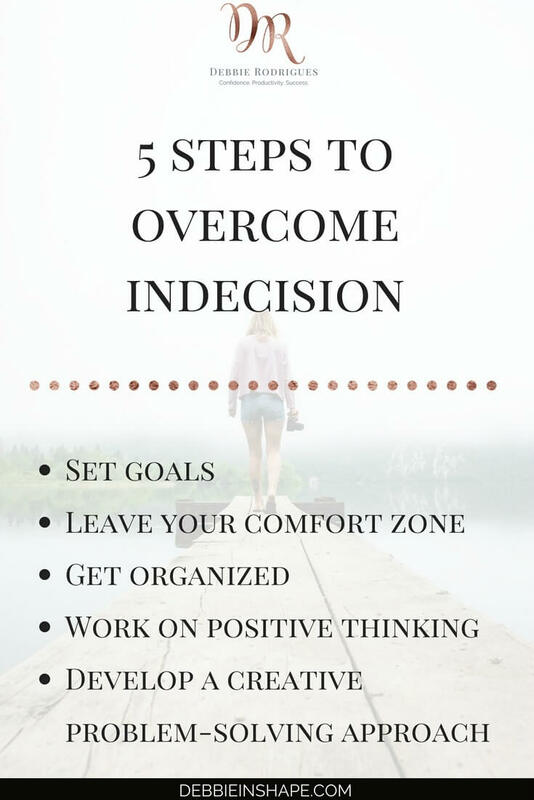 Even though many people don’t like to assume it, this is probably the hardest step to overcome indecision or any habit change. You have to take action, period! In this case, you’ll have to make choices even if they scare you. Remember I said it wasn’t going to be easy. There’s always a chance your decision won’t be the best one. Anyways, just follow your gut feeling and go for it. You want to have sustainable systems in place that guarantee you’re making choices mindfully to overcome indecision. Do you have visibility of your (recurring) tasks? What about their duration? Instead of spreading information everywhere, why not using a tool such as Evernote* to collect everything in one place. The more organized you become, the more confident you’ll be in your ability to choose what’s best for you. There’s nothing worse than self-doubt when it comes to indecision. If you don’t believe in your capacity to judge your options well and pick the right choice, you dwell in overthinking. Positive affirmations are excellent confidence boosters. You already all the knowledge necessary to choose right. You need to acknowledge it. A little out-of-the-box thinking can help you examine issues from a different perspective. Instead of focusing on “what-ifs”, rewire your brain to finding solutions. You can start by creating a morning routine that stimulates you. With some practice, you’ll open yourself to new possibilities, and therefore, new options. Whenever you are indecisive, you create stress. Not making choices leads to even more headaches down the road. If it’s fear what’s blocking you, it’s time to be in control. And don’t let perfectionism get in the way. Not all your decisions will be correct. It happens to everyone. Yet, a bad decision is still better than no decision at all! 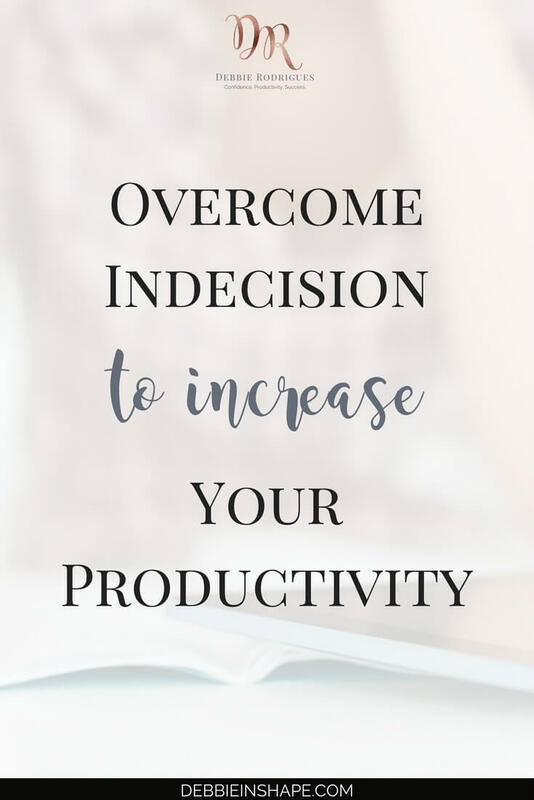 If you need help to overcome indecision to improve your efficiency, join a group of like-minded planners for accountability and support. 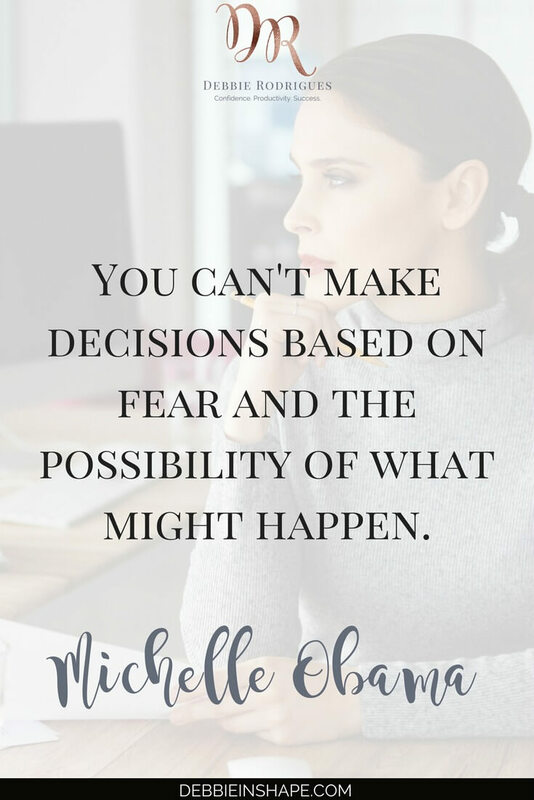 In which areas of your life do you struggle with indecision? *Disclaimer: Some of the links in the post above are “affiliate links.” This means if you click on the link and purchase the item, I will receive an affiliate commission. You will not pay more when buying a product through my link. However, when you order through my link, it helps me to continue to offer you lots of free stuff. Regardless, I only recommend products or services I use personally and believe will add value to my readers. Thank you, in advance for your support!